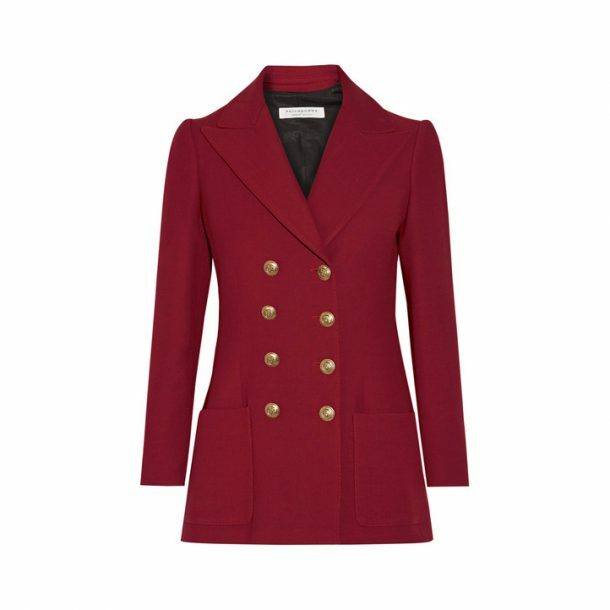 In February 2017, the Duchess of Cambridge (Kate Middleton) debuted a burgundy red blazer by Philosophy di Lorenzo Serafini. It’s the label’s Double-Breasted Jacket in Twill. 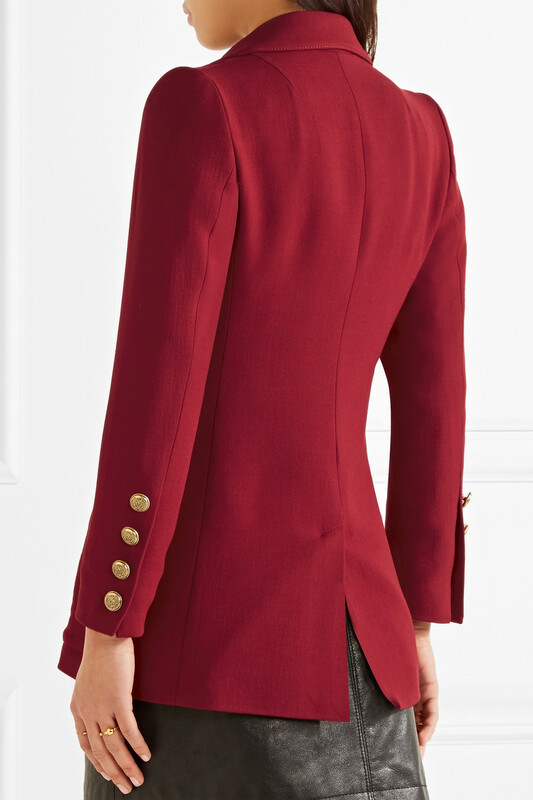 The wool-mix double-breasted jacket features peak lapels, darting detail at the front and patch side pockets. 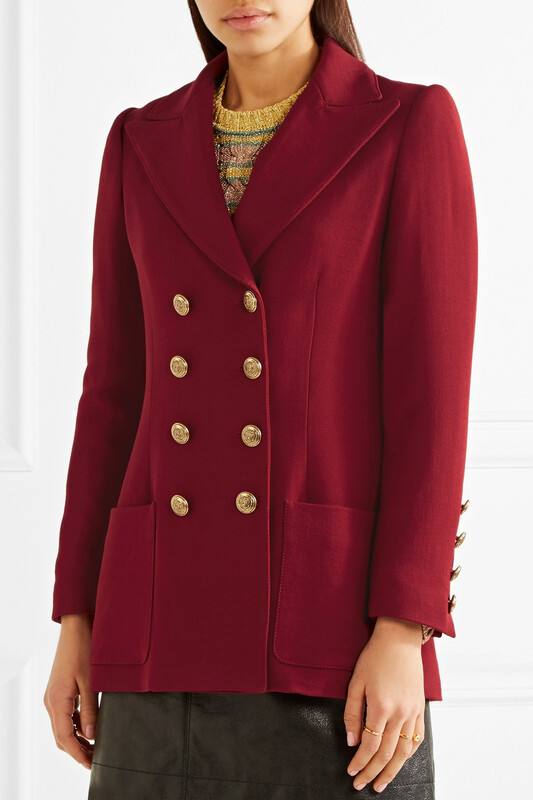 It has four brass tone buttons on the sleeve cuffs and eight brass tone buttons on the front. At the time of hitting publish, the Philosophy jacket is sold out online. 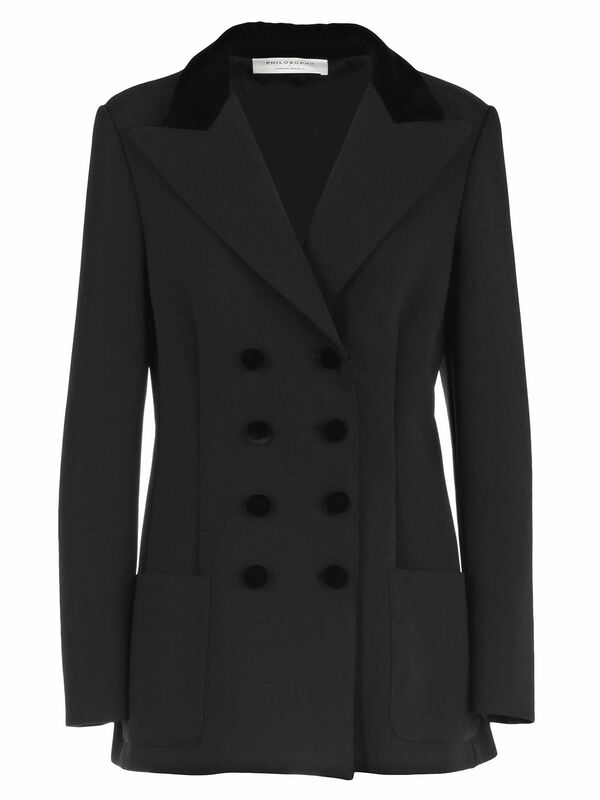 However, Italist.com sells a similar jacket by the same brand in black if you’re looking to copy Kate’s style. 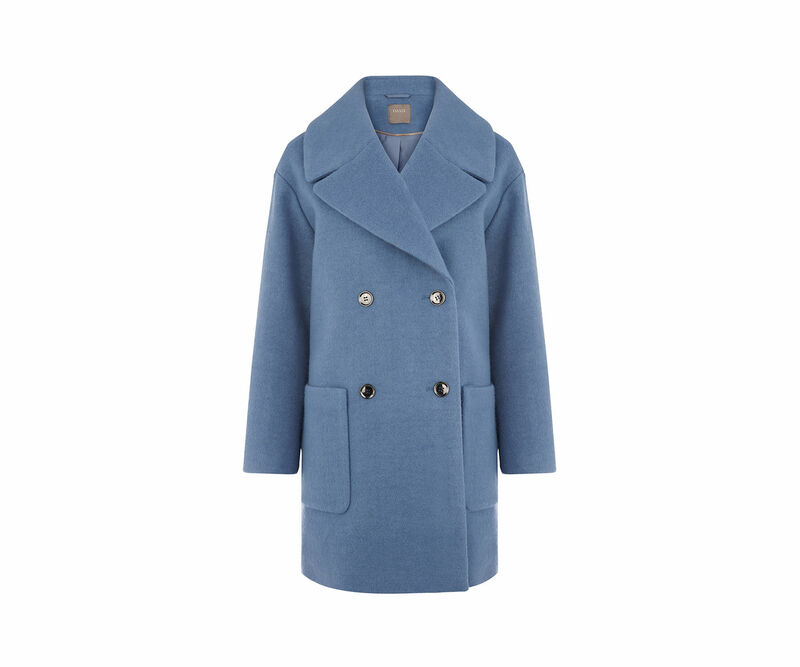 Get Kate’s look for less with this double-breasted blue coat from Oasis. It costs just £95.